Gürkan Özkan, following his musical training with Okay Temiz, became one of the first graduates of Engin Gürkey Percussion School that opened in 2000. He has performed at various national and international festivals with diverse percussion instruments such as; bendir, darbuka, daf, conga, pandeiro, djembe and tabla. He was one of the recording musicians for the School's 2006 album "World of Percussion". Özkan, had performances with Aşkın Arsunan and John Scofield during the 11th Istanbul International Jazz Festival in 2004 and in 2005, with Norvegian saxophone virtuoso Bendik Hofset as part of Aşkın Arsunan's "Down to Earth" project. He performed Indian classical music at the "2006 International Caucasian Cultures Festival" by request of the Indian Consulate General. The same year he joined Süleyman Ergüner's "Sufizen" project. In 2007 he participated the "South Indian Percussions Workshop" organized by Subash Chandran and Ganesh Kumar. Following that he became the student of India's government broadcaster "All India Radio"s tabla artist Pt. Sandesh Popatkar. 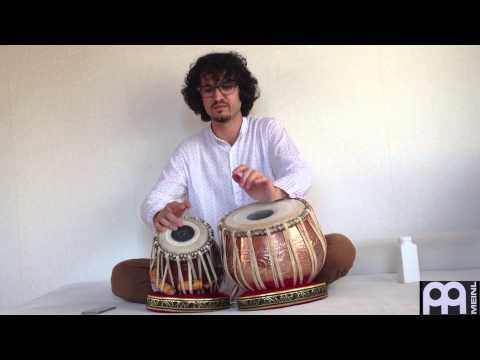 In 2011, he gave a presentation on the subject of "Tabla and Rhythmic systems (tala) of the music of North India to the members of the faculty at the Mimar Sinan Fine Arts University, Ethnomusicology Department. Özkan, from 2008 to present has performed on stage as part of diverse projects in 26 countries from Portugal to India, from Russia to Omman, with several revered artists and musicians such as Pt. Prasad Khaparde, İbrahim Maalouf, Natasha Atlas and Keyvan Chemirani. Özkan is a percussion artist who managed to develop his own "style" blending the rhythms of his own culture - which is a part of Anatolia - with the rhythms of other cultures that he has had the chance of experiencing. Traditional Stand Alone Wood Surdo (Patented) 22" x 24"
Copper Darbukas, hand-engraved 7 7/8" x 15 1/2"
Daf, Woven synthetic head 20" x 2 1/2"
Original African Style Rope Tuned Wood Djembe 12"
Professional Series Timbales (patended) 14" & 15"